BIID signed an MoU with the department of Public Health Nutrition,Primeasia University to introduce Nutrition Club on 10th November,2018. 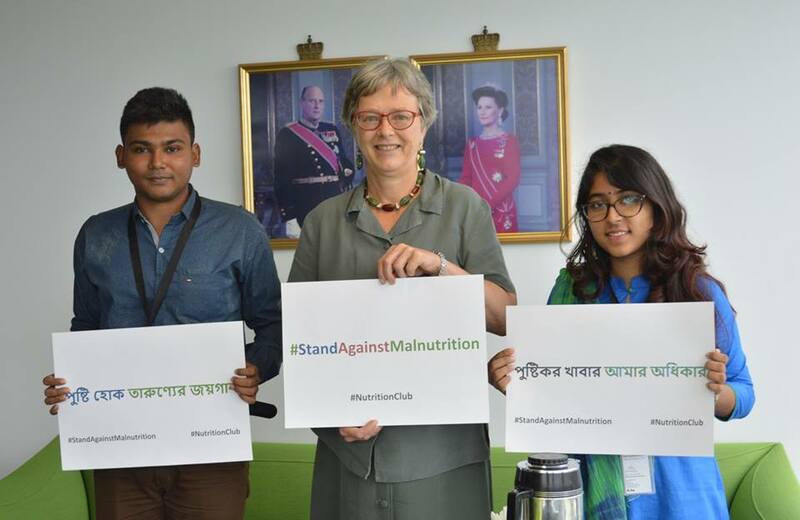 The Nutrition Club will promote food based nutrition advocacy in Bangladesh and ensure youth engagement in addressing and correcting malnutrition. BIID will join as Strategic Partner of ‘Nutri Career Fest 2018’, organized by Youth Club of Bangladesh (YCB) to be held on 23rd November, 2018 at 71 Hall, Daffodil International University, Dhanmondi, Dhaka. BIID will organize a session on ‘Entrepreneurship’ to boost up the opportunities of self-employment for the participants (nutritionists, nutrition professionals and students). For more information and registration in the Career Fest, please click here. 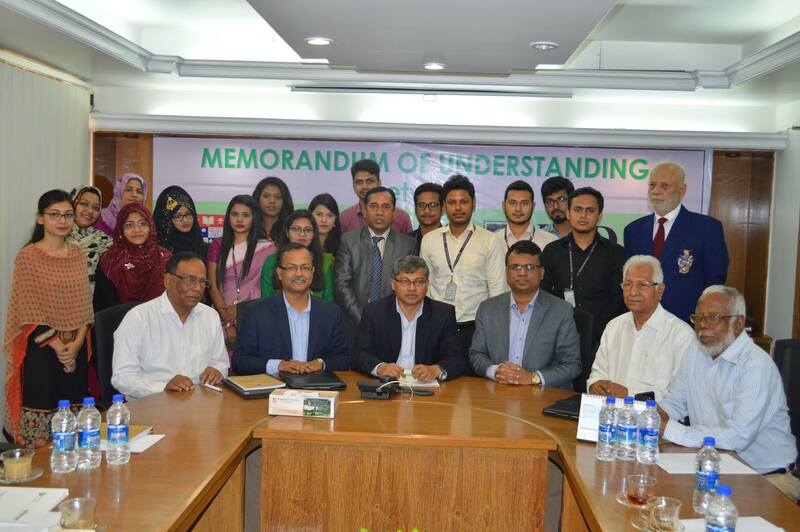 To address malnutrition collectively in Bangladesh, Bangladesh National Nutrition Council (BNNC), Institute of Public Health & Nutrition (IPHN) and Bangladesh Institute of ICT in Development (BIID) signed a memorandum of understanding (MoU) on 4th of October 2018 at Institute of Public Health & Nutrition (IPHN), Mohakhali, Dhaka. Dr. Md. Shah Nawaz, Director General of BNNC, Dr. Samir Kanti Sarkar, Director, IPHN & Line Director, NNS and Mr. Shahid Uddin Akbar, CEO, BIID signed the MoU representing their respected organizations. Promoting innovation, fostering use of ICT, engaging youths and advocating on training, research and capacity building on nutrition are the four major objectives of this MoU. It may be mentioned that both BNNC and IPHN has agreed to partner with BIID in hosting International Nutrition Olympiad 2019. We are very happy to share that Bangladesh Institute of ICT in Development (BIID) has become a member in the General Committee, Civil Society Alliance, Scaling Up Nutrition (SUN). Since 2010, the SUN Movement has inspired a new way of working collaboratively to end malnutrition, in all its forms. Looking forward to contribute more in the field of nutrition and experiences with other members. H.E. 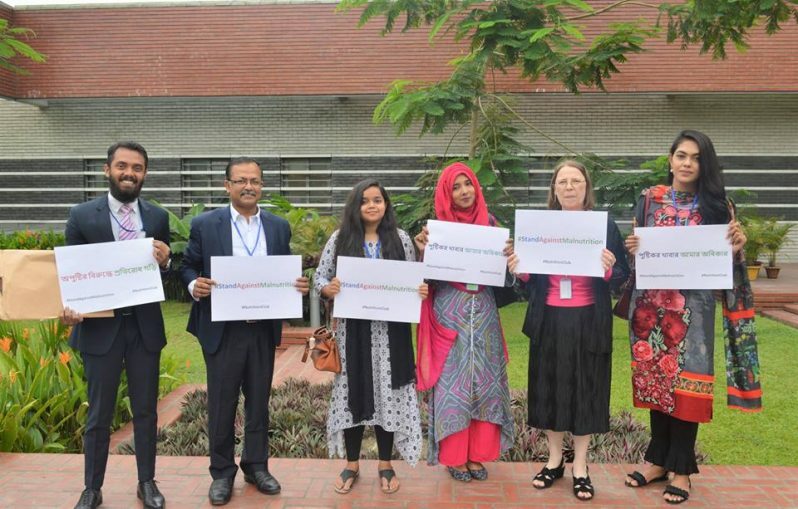 Mrs Marie-Annick BOURDIN, Honorable Ambassador of France to Bangladesh, along with the distinguished officials of the Embassy of France to Bangladesh participated in the #StandAgainstMalnutrition photo campaign organized by Bangladesh Institute of ICT in Development (BIID) on 13th June, 2018. BIID is fostering youth led Nutrition Club initiative in Bangladesh to fight against all sorts of malnutrition. BIID Team and members of Nutrition Club also participated in the Campaign. Nutrition Olympiad 2018 was held at the Bangabandhu International Convention Centre (BICC), Agargaon, Sher-E-Bangla Nagar, Dhaka on 21st of April as a precursor event to National Nutrition Week. 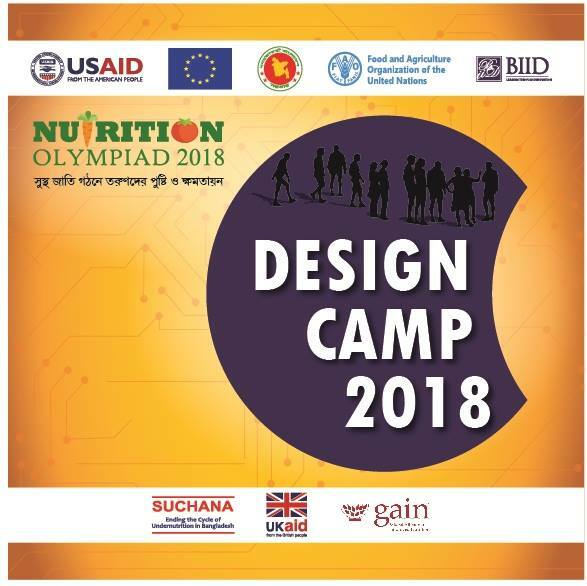 BIID jointly with FAO, MoF, Suchana and GAIN organized the Nutrition Olympiad 2018 with support from USAID, EU and UKAID. A Design Camp was organized during April 18-20, 2018 at BARD for the Nutrition Club members to understand the human centric design thinking process and how that can be applied to make the Nutrition Clubs more efficient and address malnutrition in Bangladesh. BIID is an inclusive business initiative engaged in developing ICT enabled products and services to support private and public (Government and NGO) initiatives targeted for the BoP (Base of the Pyramid) segment in particular and citizens in general in providing them with access to ICTs and ICT enabled information and services. BIID envisions vast range of opportunities in the ICT4D sector in developing countries; using the existing capacity, expertise and knowledge of BIID, we wish to be engaged in this sector providing different services and solutions for all sector of the society. Currently BIID is working in numerous sectors using ICTs to reach customers and partners more efficiently and to bring relevant services closer to communities in which citizens reside. 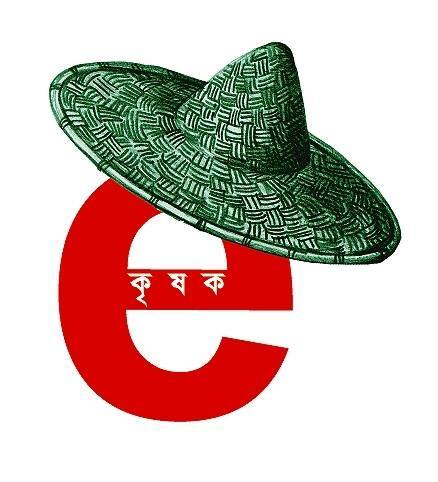 Bangladesh Institute of ICT in Development (BIID) is a distinct inclusive business initiative to support development and promotion of Information and Communication Technology (ICT) based services. Our inclusive approach ensured serving the poor in a sustainable way through market led approach. The distinction of BIID lies in clear identification of ICT as a cross cutting development tools and create opportunities through continuous knowledge management, innovation and development. It is BIID's vision to become the market leader in ICT for Development (ICT4D) sector providing services to both public (Government and NGOs) and private sector. Our strategic objective is Leading Through Innovation. Applying existing knowledge (information and expertise in aid to innovate products & services for economic and social development). Piloting/concept testing to roll-out/scale-up new/existing services. Understanding citizens (target audience) need and national ICT based development priorities to decide among alternate investment opportunities. Multi Stakeholder Partnership including collaborating with GoB; national and global private sector leaders in the ICT sector; and academia to leverage impact of planned initiatives, resource mobilization and utilization. Integrate new ICT tools including mobile based solution and social media. Constantly update and adopt environment friendly and sustainable technologies which are more suitable are relevant for target beneficiaries. Specific emphasis on gender issues at every stage, from project development to its implementation and evaluation. Md Shahid Uddin Akbar is the Chief Executive Officer (CEO) at Bangladesh Institute of ICT in Development (BIID), a private sector initiative to promote the use of ICT as a tool for development. BIID covers research and development on telecentres, e-Governance, capacity building and content development. 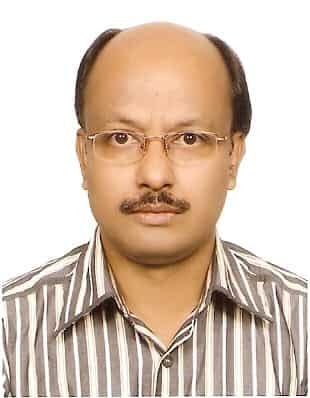 Md Shahid Uddin Akbar, born on August 4, 1970 at Chittagong, Bangladesh completed his Masters in Finance and Banking, Mr. Akbar joined a private commercial bank and served as Credit Officer for 8 eight years. During working in Bank, Mr. Akbar volunteered in various ICT4D initiatives. In 2000, Mr. Akbar established a voluntary organization titled ICT for Development Program Bangladesh (ICTDP’B) to bring the benefits of ICT in the rural areas. He contributed in the World Summit on the Information Society (WSIS) at national and international level. 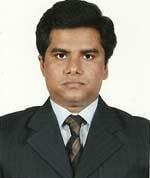 Mr. Akbar worked as ICT Consultant in SwissContact/Katalyst, Bangladesh from July 2004 to June 2008. Katalyst, a multi donor funded project promoting competitiveness of small and medium enterprises and addressing the ‘information failure’ of rural areas. Katalyst is implementing ICT4D projects to bridge the gap with special focus to farmer, rural business and livelihood as a whole. Under this project, new business model for establishing Telecenter (Rural ICT Center) in rural areas has been developed to serve the rural communities in a sustainable and commercially viable model. Mr. Akbar is also serving as a Member of the Executive Committee of Bangladesh Telecentre Network (BTN), a coalition of telecentre practitioners in Bangladesh. He also involved with Junior Chamber International, Internet Society and Diplo Foundation activities. Dr. M. Asaduzzaman joined the Pakistan Institute of Development Economics, the precursor of the BIDS, in 1969 as Staff Economist. He holds his current post since end 1997. Key capabilities of Dr. M. Asaduzzaman encompass several areas of professional and institutional activities. He has been educated in the London School of Economics and the University of Sussex, England. He has a research experience in various fields. Generally they fall in the area of agriculture, natural resource management and rural development. Within this broad area, his past research includes one of the first rigorous studies on technological change in agriculture (Ph.D. thesis), institutional and management issues in rural infrastructure development (one of the first rigorous such analysis of WFP-aided programs anywhere in the world), environmental issues such as coastal environmental management, climate change, comprehensive evaluation of water resource development, comparative evaluation of poverty eradication programs under alternative institutional frameworks, critical review of long-term historical record of growth performance of Bangladesh agriculture, energy modeling, particularly related to climate change issues, local level planning, local government resource mobilization, construction of I-O model for Bangladesh and agriculture trade and globalization and modeling of free trade arrangements. 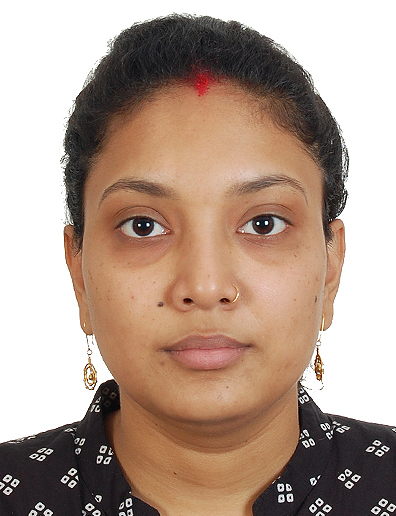 Dr. Asaduzzaman’s current research interests include modeling of Bangladesh trade under WTO and free trade rules, rural energy, energy development and its governance with particular reference to the power sector, and private investment in schooling. 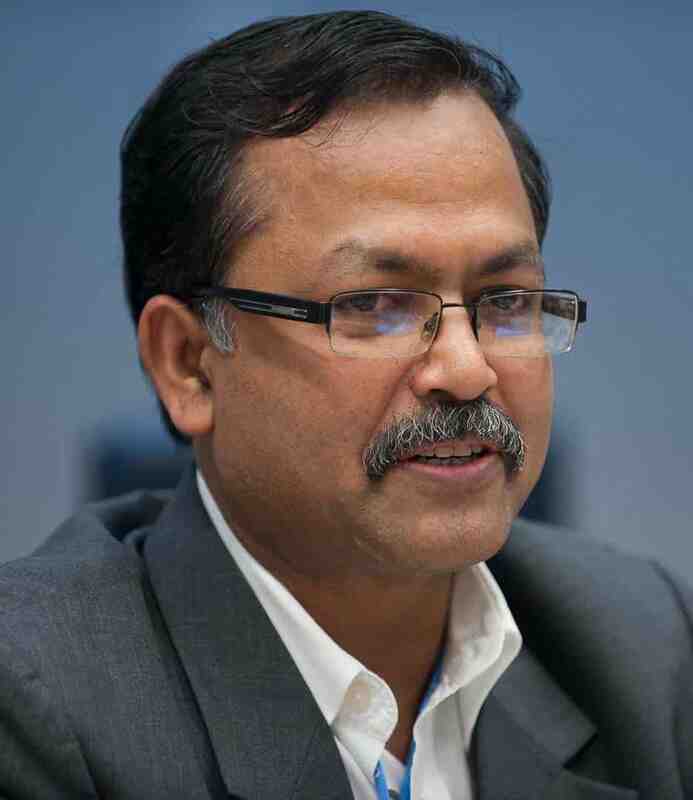 Dr. Asaduzzaman has served in various national and international committees including the high powered committee on WTO matters under the Ministry of Commerce, and also as Chair and earlier member of the Consultative Group of Experts for the Non-Annex 1 countries of the Subsidiary Body on Implementation under the United Nations Framework Convention on Climate Change. Dr. Asaduzzaman is also serving as the Research Director of The Bangladesh Institute of Development Studies (BIDS) or Bangladesh Unnayan Gabeshona Protishthan is a multi-disciplinary organization which conducts policy oriented research on development issues mainly in the context of Bangladesh. Pragyan has joined us from 1st of April 2019. She belongs to Bhubaneswar, Odisha, India and was previously working with a Not for Profit Organization, R G Manudhane Foundation for Excellence as Program Manager – Operations in Pune, India. She has completed her Master of Philosophy degree in Planning and Development from IIT Bombay, and also has a Master of Arts degree in Development Studies, from Tata Institute of Social Sciences, Mumbai. She has diverse professional experience working with various local government bodies, corporate like Tata Steel Rural Development Society, education institutions and not-for profit organization like PRADAN and Digital Green, focusing on community development and social welfare. She believes that her interdisciplinary education and miscellaneous experience has helped to feel confident in taking different career responsibilities. She has a knack for working on research projects, data analyses using different software namely, SPSS, ATLAS.ti and Excel. In addition, she enjoys working on Event Organizing, Project management, Sustainability and CSR consulting, Community Mobilization and Conducting Capacity building training. She believes to be open to learning and to add value to efforts towards addressing social challenges and achieving goals of sustainability and justice. Jubayer Rahman has joined Bangladesh Institute of ICT in Development as Deputy Manager (Business Development) during August, 2017. He has completed his Bachelors from North South University (NSU) with a dual majors in International Business and Marketing, and Executive Masters in Business Administration from Independent University Bangladesh (IUB) majoring in Marketing. Some of his major responsibilities include working hand in hand with the project team, managing documentations on various initiatives, and maintaining regular communication and identifying new business opportunities with existing clients. His strong passion for development work inspires him to use his skills, talent, and knowledge for the growth of the organization and help better the environment of the community around him. After completing graduation, Mr. Khan started his career with PUNJ Sons Pvt. 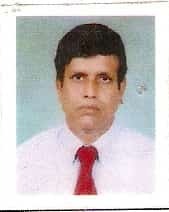 Ltd. (an indian firm which was responsible for the execution of ensulation work at Ashulia Fertilizer Company, Brahmanbaria) as Liaison Officer.He worked as Area Manager in Served with Society for Economic & Basic advancement (SEBA). 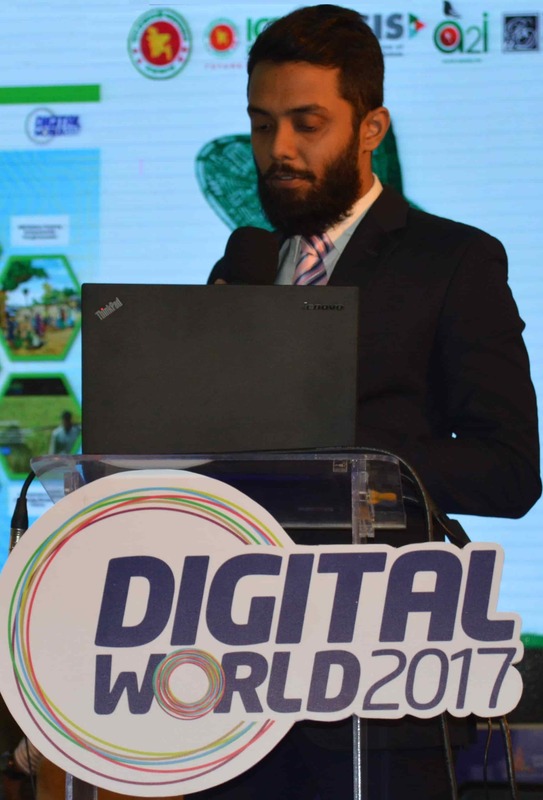 Salehin Rahman Khan has joined Bangladesh Institute of ICT development during February 2018. He has completed his graduation from BRAC University and has won the Nutrition Hackathon in 2017. He also worked as an application developer for firefox, Android and Fire OS. Md. 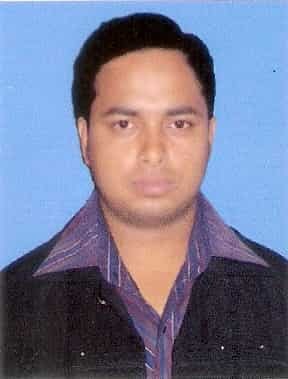 Turza Ibna Muksud, has completed his BSc from University of Liberal Arts Bangladesh (ULAB). Currently doing his MS degree from East West University. 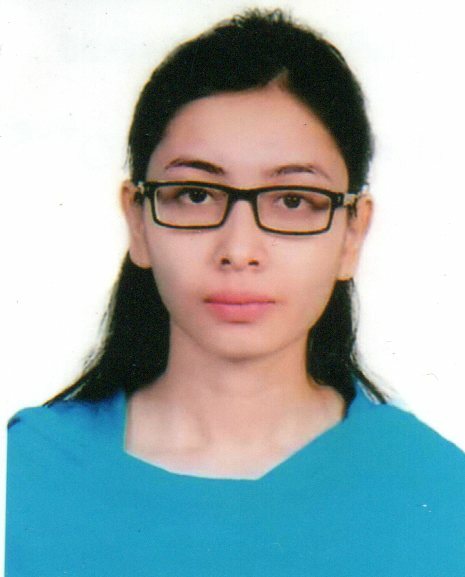 Dilara Jahan has been joined at Bangladesh Institute of ICT in Development (BIID) as Management Associate (Nutrition) since July, 2018. She has completed her graduation and post-graduation on Food & Nutrition at College of Home Economics under University of Dhaka. Md.Salah Uddin Akbar (Selim) was born in 2nd February,1968 in Chittagong, Bangladesh. His father was a banker and than more as a development activist who always encouraged his sons to seek higher education and serve the country. Mr.Akbar, completed his education with Masters Degree under National University. After completing the education, Mr. Akbar started his career as a Social Entrepreneur and engaged in various service based business. He also launched couple of production related businesses and promoted local entrepreneurship. He also engaged in international business with China, Hongkong, Saudi Arabia. But realizing the vicious circle of poverty Mr. Akbar took matters into different track. He switched from business to development sector, he engaged Society for Economic and Basic Advancement (SEBA) and worked at field level to understand the dynamic of rural livelihood. SEBA was operation in Chittagong, Feni, Noakhali and Gaibandha district of Bangladesh. Major activities of SEBA are Water and Sanitation, Environment Protection, Micro -Finance, Advocacy on Health, education and social safety. Recently SEBA initiated ICT (Information and Communication Technology) related development projects to serve the rural people by using technology. During last few years Mr.Akbar, through SEBA promoted integrated livelihood approach to empower the rural people and concentrated more on vulnerable issue like HIV/AIDS. From personal interest now this campaign has transformed to institutional setup. Shehzaad Shams completed his MBA from London Metropolitan University and undergrad from Delhi University, is now serving as Consultant and Business Development Officer (Europe). With a combination of academics in IT and management, added with foreign language skills, Mr. Shams is focusing on ICT4D (Information & Communication Technology for Development) and M4D (Mobile for Development) to provide access to information and markets for rural farmers and entrepreneurs in developing countries. 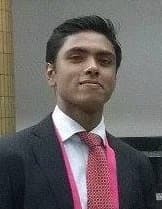 He is also a business blogger, founder of Bangladesh Corporate Blog (www.bangladeshcorporate.com), first and fastest growing business blog of Bangladesh. Ahad's core skill is entrepreneurship, hecurrently manages setups and new business improvement for Gold Hill Corporation, a renewable energy start-up firm that is emerging disseminated power solutions for poverty-stricken developing countries. He is a consultant of Alpha Solar Energy Inc in Canada and the Ontario region throughout the bidding, and contract negotiation process. Moreover he is developing Energy management and verification tools for EVO-World a leading non-profit organization in North America. Ahad is a passionate entrepreneur and played a pivotal role in building the entrepreneurial ecosystem through founding Sun Systems Corporation Ltd and BECTS which provide complete IT education Infrastructure and education to different schools.He also worked for Pan Pacific Hotels Group as well Avery Dennison Corporation in different management role.Ahad Studied Environment and Health Science at University of Toronto and completed his Bachelors in Business Administration from North South University. Md. Sumon Islam is from Barisal, Bangladesh. 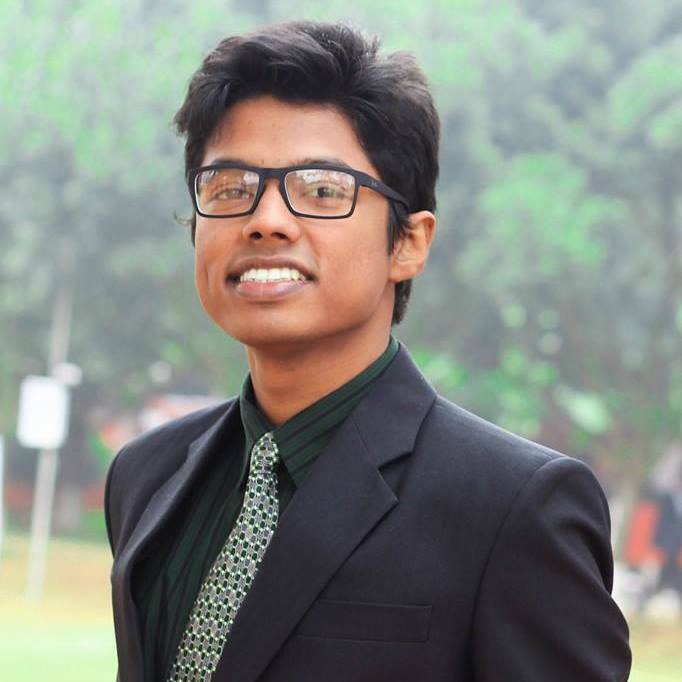 After finishing his SSC, he joined Bangladesh Institute of ICT in Development (BIID) from the beginning of this institution. Now he is continuing his job as an Office Assistant. Mst. Akhlima is from Barisal, Bangladesh. 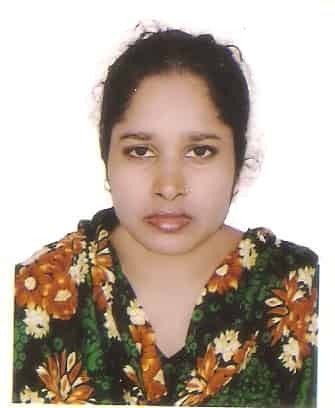 For a long time Bangladesh Institute of ICT in Development (BIID) gets her services as an Office Assistant. 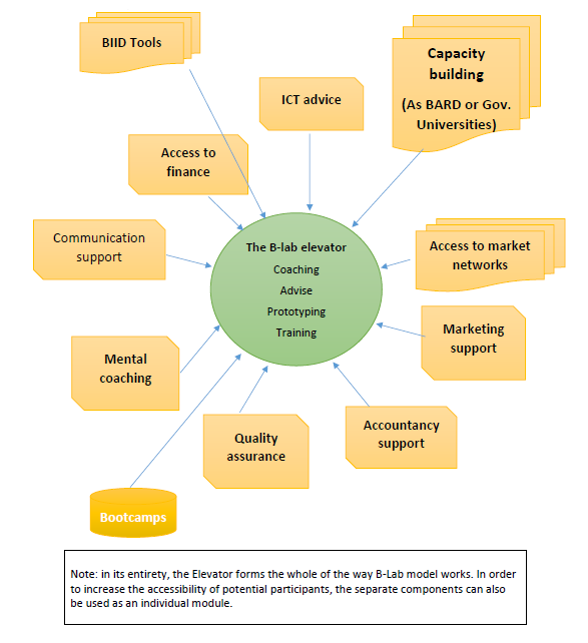 Research and Development is at the core of BIIDs approach to ICT for development. 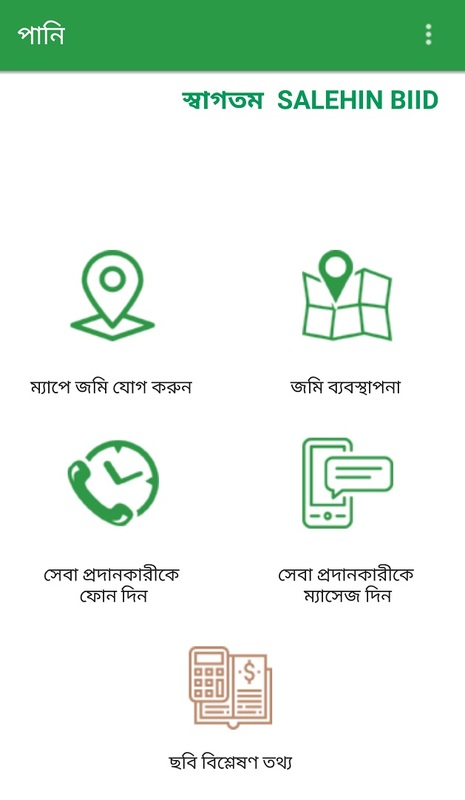 R&D services offered by BIID are aimed at development of business models, services and community outreach strategies for ICT4D initiatives in rural Bangladesh. Also BIID understands the value of R&D to facilitate innovation and create opportunity to persuade R&D based initiatives. Although it came into being in 2008, the leadership behind BIID draws on many years of experience and exposures to ICT for Development (ICT4D) both home and abroad. BIID offers a range of consulting services that are aimed at contributing to the improvement of livelihood, business development of enterprises (SMEs) and initiatives engaged in ICT enabled knowledge based services providing both mobile and web based solutions. Useful and user friendly content is vital in delivering information services targeted for underprivileged communities as individual and entrepreneur’s. Supported by its competence in R&D, BIID specializes in facilitating development of general and location-specific content through its linkages with academic community, research organizations, private and public providers of information. Based on its understanding of specific training needs of human resources engaged in operation of ICT4D projects and in the provision of information based service delivery mechanism, BIID offers skill development support for prospective organizations and service providers. BIID also initiated digital literacy program to build the capacity of local communities on functionality of computers to handle and manage ICT tools and basic applications efficiently. The leadership behind BIID has developed a knowledge base on ICT4D through active participation and sharing with local and international forums & networks. BIID plans to continuously build on it by working in the field so that it can become a major contributor of knowledge to practitioners, researchers, policymakers and other stakeholders both home and abroad through capturing the lessons and sharing with relevant stakeholders. Whenever BIID is engaged in an intervention, BIID ensures the monitoring of activities taking place and to evaluate their impact with respect to the desired aims and goals. BIID also offer M&E service on behalf of customers and partners to assess the impacts as well as future guidelines. 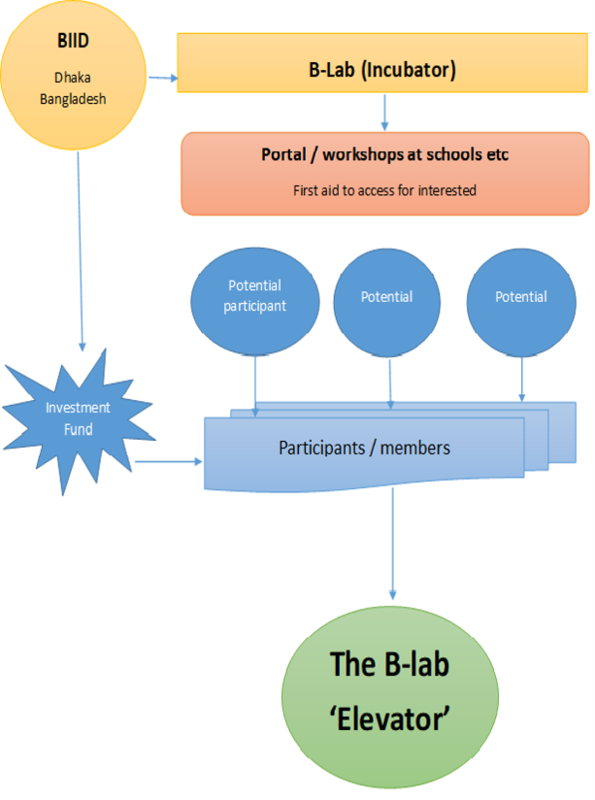 The B-Lab idea is based on the proposition that it is sort of an umbrella organization with a focus on young people in the rural areas who want to become real entrepreneurs, especially in agriculture sector. Service of B-Lab will be guaranteed from a dedicated professional team at back office in Dhaka along with 24/7 online service availability and BIID acts as a leading but also a facilitating organization. Youth segments age group within 18-39 are being targeted with special focus on students & women communities. BIID as mandated for ICT4D (Information and Communication Technology for Development), it fosters usage of ICT in all sphere of B-Lab activities and service delivery. BIID's agricultural service is branded as e-Krishok, an initiative which is aimed at farmers with the desired goal of providing services from which farmers will benefit both in terms of their farming activities and opening up opportunities in new avenues which will ultimately translate into increased income for farmers. Farmers with any problem or query or issue which is related to agriculture can go to nearby ICT enabled Information Center / Telecentres and receive the information that they are seeking. The information usually provided to them in a timely and quick manner, so that the farmers can get on with their activities. With such timely and appropriate information, farmers will be able to maximize their economic gain; enabling them to achieve income growth through agricultural activities. e-Krishok is now in a process of transforming into a transactional service. BIID in collaboration with Grameen Phone (GP) introduced SMS/call back service via Short Code. 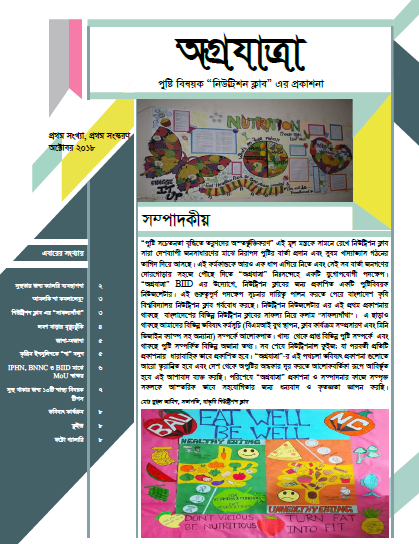 For more details, please visit the ই-কৃষক site. Join us on Facebook. The Integrating Gender and Nutrition within Agricultural Extension Services (INGENAES) strives “to increase agricultural production and the incomes of both men and women in rural areas who rely on agriculture for their livelihoods.” INGENAES works with local partners to identify needs and opportunities for making improvements in their projects so that they can more effectively integrate nutrition-sensitive information and to achieve gender equality, improved household nutrition, and increased women incomes and, as a consequence, household food security. Besides a INGENAES Regional Symposium will be held in March 2017 to share the learning and findings of the project and engage multiple stakeholders for taking forward gender and nutrition integration within agricultural extension. To know more, please the extension website. Join us on Facebook. 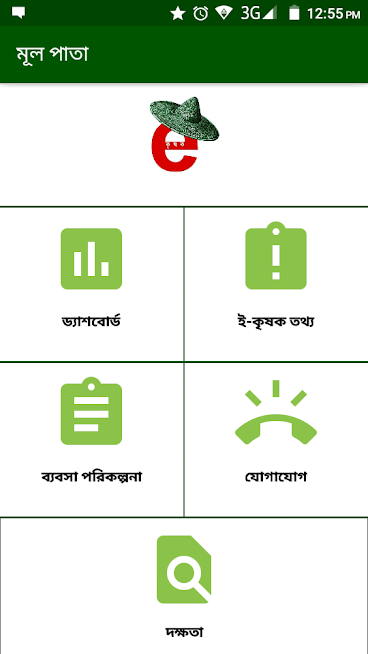 BIID introduced ‘Farmbook Business Planning Tool’ in Bangladesh under its e-Krishok service basket in 2013. It’s a field based application developed by Catholic Relief Services (CSR) to understand the cost elements, technology, quality input support services and monitoring the profits that different types of farmers gain from using technologies and linking to markets. 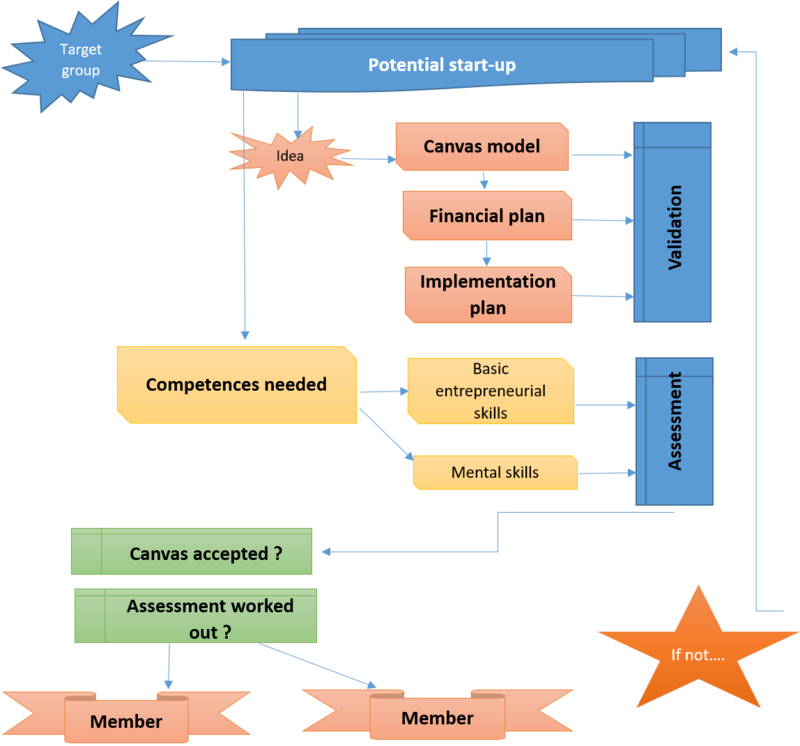 Business Planning Canvas (BPC): It is a tool to help farmers to learn business planning through understanding of various components of business. Farmers can perform the exercise in groups or individually and learn about areas to consider while carrying out a business. BPC can be prepared for any kind of business such as crop, dairy or fishery. Farmers can develop the canvas in a group or develop them individually for their businesses. Profitability Calculator (PC): This is a simple tool where through which farmers can calculate income and expenditure and measure the profitability of crops. A user can enter data on costs involved such as input, labour, irrigation for crops and calculate the estimated profit at the beginning of the crop season. With the progress of production stages, they can calculate the actual costs and the actual income. Thus they have comparative analysis of the estimated and actual profits. This will help them in identifying and planning for the crop which are more profitable during the following crop season. 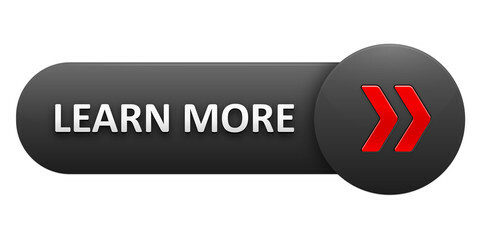 The two components are available on mobile based iFormBuilder platform as well as on e-Krishok app. 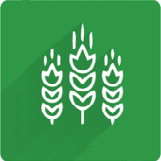 BIID is scaling up Farmbook through its various partners which include Oxfam, VSO and CRS. To learn more, please visit the site. Join us on Facebook. Nutrition Club is a new concept has been introduced in Bangladesh by BIID to promote nutrition awareness among communities (both urban and rural) and engage youth volunteers to spread the nutrition messages all over the country. Academic institutes or organizations, who mandate to serve the country in nutrition domain as a social cause, they are our partner to accelerate this nutrition club initiative. The primary objective of Nutrition Club is to provide a platform for volunteers for capacity building, knowledge dissemination and awareness building on nutrition. Nutrition Club is operating as a Franchisee network model under the supervision of BIID supported by INGENAES, USAID, where different educational institutions are operating the club activities independently but under a common mandate and goal. 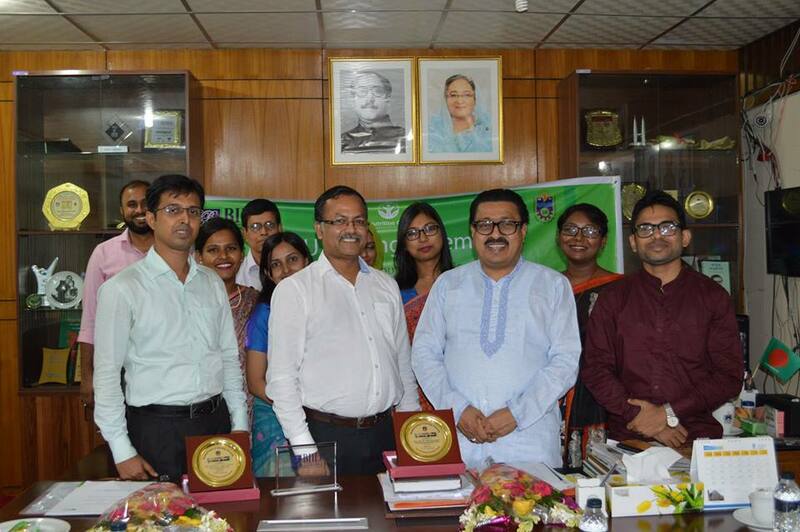 The Nutrition Club initiative is an approach to promote food based nutrition advocacy in Bangladesh. This approach provides an experiential learning and teaching opportunity for students in agricultural extension, nutrition and rural development. Nutrition Club is a platform for awareness building on nutrition, capacity building, and knowledge dissemination. BIID envisioned that the youth can be engaged in knowledge sharing, awareness building and catalyzing the learning process. Improving nutrition can have a significant impact on survival as well as physical and cognitive development and productivity. For more details, please visit the Nutrition Club site. Join us on Facebook. BIID is implementing the “Ground Cover App for Irrigation Scheduling” project with CIMMYT for developing a smartphone application to drive irrigation services of farmers of the southern delta of Bangladesh during the dry season. The consortium members of the project is Bangladesh Institute of ICT in Development (BIID), Faculty of Geo-Information Science and Earth Observation (ITC) of University of Twente and Centro International de Mejoramiento de Maíz y Trigo (CIMMYT), funded by the Food & Business Applied Research Fund of The Netherlands Organisation for Scientific Research (NWO). The objectives of the Project is developing a user friendly app which will enable farmers to capture RGB photos of their fields/crops with off-the-shelve smartphones. The photos will be analyzed using an algorithm to estimate the percentage of ground cover. This estimates will be transmitted and integrated into an irrigation advisory system, which will notify farmers about the water requirements and also inform them about available irrigation service providers. The project is anticipated to increase food production and, hence, improve food security. In the long run, it will be an integrated service for farmers, input suppliers and buyers. Click here to download the paper and Click to download the poster. Bangladesh Institute of ICT in Development (BIID) is implementing “Business Network Firm to Support the Development of Peer-to-Peer Business Networks in Southern Delta” project under the Agricultural Value Chain (AVC) program of USAID as one of the partners of DAI. The project aims at identifying possible solution and develop a business model to strengthen the SME’s with better understanding on professional business management practices by adopting peer-to-peer networking. The poor performance of the SME’s in South Delta is mainly attributed to lack of practicing management process while running the business. SMEs mostly practice extracting cash from businesses instead of re-investing and improving HR capacity to perform better (increased volume and profit). 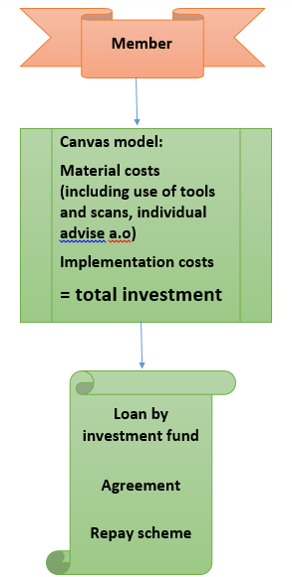 The objectives of the project is to development of peer-to-peer learning and networking for SMEs (wholesaler/arothdars), development of a mentoring and capacity building methodology suitable for peer-to-peer networking type structure and finding of a potential model for commercialization of such service. BIID is implementing the project in two locations of southern area of Bangladesh which are Patuakhali Sadar under Patuakhali district and Muksudpur upazilla (sub district) under Gopalganj district. Join us on Facebook. The “Zero Cost” Extension and Advisory Service (EAS) is a model developed by BIID under the e-Krishok service basket, designed to provide agriculture information and advisory to rural farmers. It is a sustainable ICT enable information delivery mechanism through which farmers can avail information and advisory free of cost, hence the name ‘zero cost’. BIID launched an integrated initiative in Bangladesh to facilitate the rapid growth of the Micro, Small and Medium Enterprises (MSMEs) with the help of ICT in addressing their problem and providing suitable solution to them. Developing the ICT-based platform to offer information and services for the rural enterprises will be an effective strategy to enhance the competitiveness of the rural MSMEs who have, among others, need for information on new markets, better business practices, and business promotion ideas where technology can become the catalyst to help the enterprises access the same. Empowering through new market linkages and building capacity of the MSMEs will ultimately contribute to the growth and competitiveness in this sector. MSME portal will also be focusing on the access to finance issue as well as training facilities for the MSMEs'. 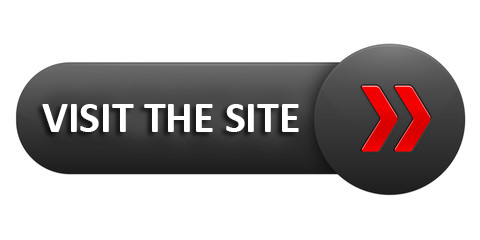 For more details, please visit the SME web portal. BIID introduced “Nirvoya” initiative to build awareness and skills to address the emerging issues of cyber bullying against girls and women in social media under a research project “Cyber Bullying against Girls and Women over Social Media” of the ICT Division, Ministry of Post, Telecom and ICT, Government of Bangladesh. 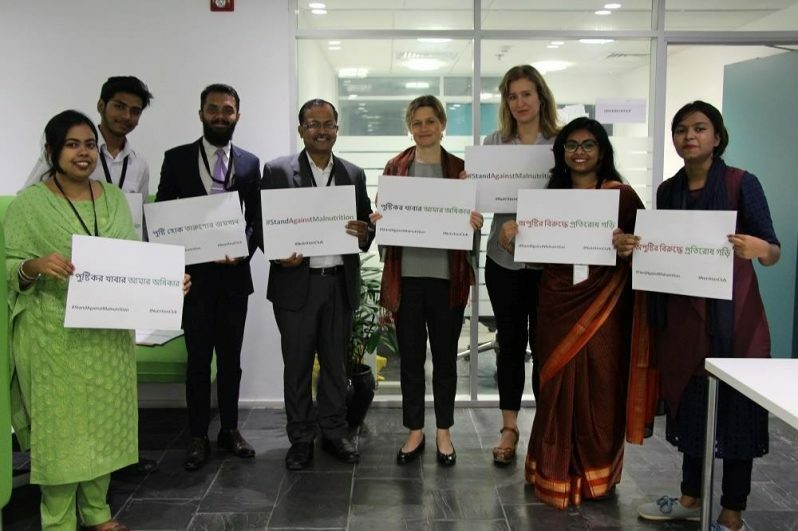 BIID plans to execute the following activities to help “Nirvoya” stand as a unique platform catering millions of girls and women in Bangladesh who are highly susceptible to cyber violence in the era of rapid digitization. 1. Cyber VAWG Awareness Campaigns Campaigns are inarguably the most effective tool to educate the public on burning social issues and alter social consciousness within a short span of time. BIID plans to hold mass awareness campaigns to directly benefit at least 10,000 women and girls by disseminating awareness on the prevalence of cyber VAWG, encourage everyone large to possess ‘zero tolerance’ and take all the actions necessary to end cyber bullying and alert the victims and potential victims to the available resources to combat cyber violence. 2. Nirvoya Club and Volunteering Platform BIID envisages launching Nirvoya clubs in partnership with Department of ICT (DoICT) in educational institutes with Sheikh Russell Digital Labs (SRDLs). Our target is directly benefit 500 students and 100 teachers and parents per school via these clubs. Therefore at the end of the stipulated time, the direct and indirect beneficiaries of the Nirvoya clubs will amount to 250,000students and 50,000 teachers and parents respectively. The members of the clubs will at the helm for spreading awareness and educating their cohorts and acquaintances about the multiple aspects of cyber bullying and its prevention. Volunteerism is one of the most powerful tool to engage people of all ages in transforming their voices into action in tackling any social impediment. To foster volunteerism, BIID plans to launch a volunteering platform where any individual irrespective of their age, gender and profession can be a part of the movement against cyber violence against women and girls. We plan to recruit 50,000 volunteers from all over Bangladesh who will be an integral part of the Nirvoya network and serve to benefit their own communities through implementation of innovative ideas. Moreover, these volunteers will participate to support all the activities Nirvoya clubs and Nirvoya campaigns. 3. Nirvoya Digital Network In the era of hyper connectivity, social media web based platforms are widely used to create networks among diverse people from across the globe to stand up against or for a cause in unity. BIID has set a target to create a network of half a million women and girls on a social media/web based platform, preferably Facebook. This network will be overarching in terms of the reach and the diversity of the members of the network. Women and girls from any social and professional backgrounds can step out to share their own stories of survival and show their support for one another by extending advice, mentorship etc. Target Reach BIID aims to reach out to and create a strong network of 1 million young girls (age group: 14-20) and adult women (age group: 21-45) by the end of the stipulated 5 years via Nirvoya campaigns, Nirvoya club & volunteering platform and Nirvoya Digital Network. 1. Raise awareness among generally people, and more particularly women and girls helping them to stay safe in the cyberspace and/or equipping them with the courage and tools to fight cyber bullying if they fall prey to crimes as such. 2. 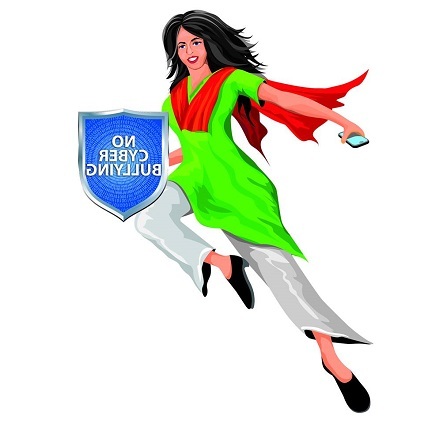 Create an enabling cyber environment for women and girls where they can actively participate and thrive over social media yet stay as safe as possible. 3. Provide guardians and authorities of education institutes a guide for identifying cyber bullying, supervision, helping their children in either effectively combating or containing such behave. 4. Raise awareness at the policy level among practitioners helping them to initiate interventions in the future to combat cyber VAWG. 5. 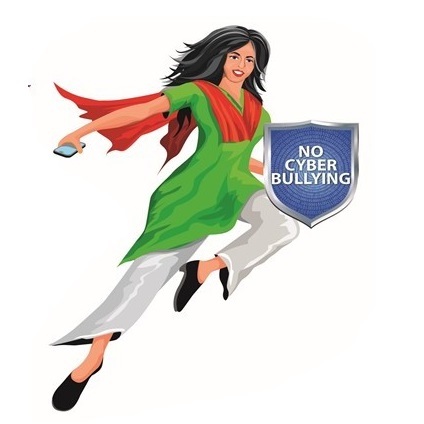 Contribute in defining cyber bullying and guiding policy formulations for government. Partners BIID will work in collaboration with government, development and private organizations to establish, promote and strengthen the national network, namely Nirvoya, to fight cyber violence against women and girls. Intel Corporation signed a memorandum of understanding (MoU) with BIID for deployment of the Intel® Easy Steps Program in Bangladesh. The Intel® Easy Steps program offers adult learners the opportunity for enhanced social and economic self sufficiency through digital literacy. The Intel Easy Steps materials use adult learning techniques to teach practical and applicable skills to people with minimum computer knowledge. The Intel® Easy Steps program is being carried out by Intel in Asia to address the digital literacy needs of government employees, as well as adults in rural communities, women, unemployed youth, and other underserved populations. A government needs ICT-literate labor for a competitive workforce which would bring about a competitive economy. On the other hand participants have an opportunity to improve skills thus enhancing their employment prospects. The program includes instructions on running Internet searches, using email, using word processors for creating resumes and other documents, creating spreadsheets, and using multimedia tools to create brochures and posters to promote small businesses. Thus the trainees can develop literacy skills and immediately start applying them into their personal or professional lives. BIID will facilitate value added services for the trainees to end up with a job opportunity or get self employed with support from relevant stakeholders. Free to Use: As always, this application is free to download and use for the irrigation purpose! Linkage: Connect with the local service providers instantly ! BIID developed this application for the farmers and small entrepreneurs as a business planning solution for agriculture. With this application farmers and small entrepreneurs can easily calculate the profitability and store new business plan. 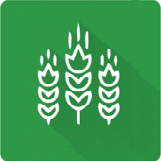 Moreover tips and brief information on agriculture and business development are also available in this application. Animation has always been a great way to disseminate knowledge among the adolescents. In respective to this idea BIID developed The Nutrition Animation where two adolescents named Milon, Mita and a nutrition expert genie named "pusti guru" meet each other. They have a conversation regarding nutrition. The whole conversation is in Bengali language. The paltform is used to create social awareness regarding nutrition among the youth.